A revision of the leading text on experimental physics. The feature of this book that has made it one of the most loved texts on the subject is that it goes far beyond a mere description of key experiments in physics. 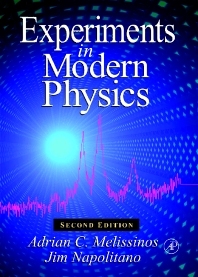 The author successfully provides the reader with an understanding and appreciation of the 'physics' behind the experiments. The second edition will be an extensive revision introducing many new devices, including the use of computers and software programs, that have come into use since the publication of the first edition. In addition the important areas of condensed matter physics and optical physics will be added, including two entirely new chapters on lasers and optics.